The goal of the Credit Financial Protection Bureau (CFPB) is to protect consumers against unfair treatment by banks, securities firms, credit unions, debt collectors, and other US financial institutions. 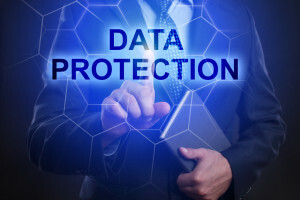 As part of their goal, the CFPB has constantly aimed to protect customers’ sensitive information by pushing for data automation. It’s known in the industry that data automation is one of the best ways to ensure the protection of sensitive information. Without a human hand in the implementation, the data is more secure. In addition, automated systems are more efficient and effective, with fewer data errors reported. However, this has yielded a 300% increase in the cost of compliance from 2011 to 2014, according to members of the National Creditors Bar Association. As a government agency, the CFPB has a responsibility to be as transparent as possible in their operations while maintaining the institution’s security and safety. According to the CFPB Independent Audit of Selected Operations and Budget, the process currently utilized by the CFPB’s Chief Data Office to maintain the data set inventory is manually intensive. The bureau has therefore decided to transition from the somewhat archaic manual process to an automated tool for tracking the data sets. With this new process in place, consumers and other agencies can be confident in both the security and efficiency of maintaining the data sets. When it comes to meeting the needs of large institutions and infrastructures, public/private partnerships tend to work best, according to the insideARM recap of the findings. Given that the public sector’s goal is to protect the public’s interest and the private sector’s goal is to meet the people’s needs, it would make sense that these two halves would combine to make a powerful whole. So what does that have to do with data automation? With the cost of compliance rapidly increasing in recent years, it’s possible that the best way to follow the CFPB’s suggestion to implement secure data automation for personal and consumer financial information could be a public private partnership (P3). This partnership between the regulatory agency and the industry it’s regulating could bring to the industry the systems and automation techniques suggested by the CFPB. Get on board with the CFPB data automation regulations today with your compliance team. Not sure where to start? Check out our article “How to Build an A+ Compliance Team” now.